As always, excellent reading. Keep up the diversity of AutoSpeed and I will certainly remain a loyal subscriber. I’d like to suggest some possible electronic projects for keen AutoSpeeders. The first and most desirable is an accurate wideband air/fuel ratio meter. I know this has already been looked at by AutoSpeed and I assume the project was abandoned, but looking at the capabilities of some of the other projects (like the DFA, DPA and IEBC) surely these challenges can be met? The other is a servo-motor based Digital Cruise Control. Obviously anyone with a turbo or supercharged car runs into problems with the vacuum driven cruise control systems that are available. And given the price of some of them, a Do-It-Yourself system could be hugely beneficial. Anyway, keep up the good work. 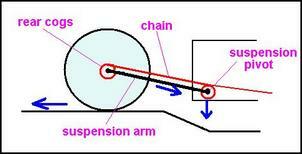 In Response of 15 October, 2006 Response, Russell Hocken rightly points out that a chain running through the suspension pivot point will ensure the chain force has no effect on suspension vertical movement. HOWEVER, there are two more forces at work that affect suspension movement - (1) the horizontal force at the tyre contact patch and (2) the vertical force at the tyre contact patch that is a result of ‘weight transfer’ when accelerating. So, looking at the big picture, you need to run the chain along a line that generates a moment about the suspension pivot that cancels out the moments generates by the forces (1) and (2) mentioned above. There are two ways to do this - using diagrams and calculating forces and moments, or by experiment. Both are the clever way to get a great result - AutoSpeed used the latter. The alternative is copying the 'conventional wisdoms' or mistaken beliefs of others or taking pot luck - definitely not the philosophy of AutoSpeed. Please print my letter for all or at least pass it on to Russell. I know he will be happier once he takes the 'big picture' view! The effect you're talking about is a well known property in the Motocross world. When landing from a jump you can get more shock absorption holding full throttle as opposed to backing off before landing. There are also other effects on the bike due to inertia of the wheel if you apply the brake and/or gas it up whilst in the air. The combination of the two effects can be used to change the trajectory of the bike in mid-air to some extent. The reaction force also used when going over rough ground (whoops, ruts etc.) to make the bike 'skip' across the top much faster. About 20 or so years ago there was a guy in the US who put a fair bit of effort into eliminating this effect to make suspension tuning on dirt bikes more linear. The guys name was Horst Leitner and he designed a unit called the "AMP Link" (among other things) which was fitted as a standard part on his MX bikes under the brand name of ATK. The unit fitted around the pivot point of the swing-arm and made the chain run parallel to the swing arm to eliminate the 'torque' effect. Another method was to make the centre lines of the swing-arm pivot point and the drive sprocket co-linear. I think that’s where Russel is getting confused as the point he is making would be true if the centre lines of the swing-arm pivot point and the drive sprocket were co-linear. Usually, the drive sprocket is located some distance forward of the swing-arm pivot point hence the torque reaction. Shaft drive motorcycles also do not have this problem as the shaft has a uni-joint type unit that is inline with the swing-arm pivot point to allow for the arc of the suspension travel. One benefit (some think) is that when you back off or accelerate mid-corner, the bike doesn't want to sit-up or dive into the corner because of the torque effect. A lot of bike riders get used to and like the torque effect and feel very uncomfortable when this doesn't occur. I guess it depends on what sort of bike you either learnt to ride or ride most often. A friend of mine had the AMP link fitted to his MX bike which he ended up removing because of the control over the bike he 'lost' when riding MX or especially SX type tracks as you need to alter bike trajectory as a matter of course if you want to go fast. I am in the process of doing an engine swap and starting to look for an engineer to provide the all-important certificate so I can register my creation. I was wondering if you have had any dealings in this area. I'm sure some of the mods you have performed over the years would have required engineering. 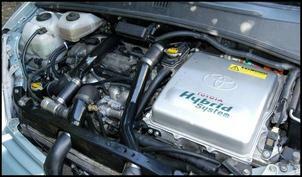 Adding turbos and superchargers for instance? I realise that the process is different in each State but a general overview of what is involved could be quite relevant and interesting to us AutoSpeeders. Keep up the good work. We haven’t covered this topic in AutoSpeed due to, as you say, different requirements in each State – not to mention in different countries! We suggest contacting your local Department of Transport and some performance workshops..
As you probably already know, I read your magazine regularly and enjoy it immensely. Although I will never get or do a highly modified car like you often feature, I still find the articles interesting and some of the ideas are good even for the minor mods that I do. That being said, I really dislike featuring when people do things that are not legal. I am sure (you have said) that nitrous is not legal for the road anywhere, so it should not be applied to a road car (especially noted in the article about P platers in Victoria). I find these articles very boring to read for that reason and I think, in this instance, the car could have gained similar improvements with other legal mods. Just my two cents. 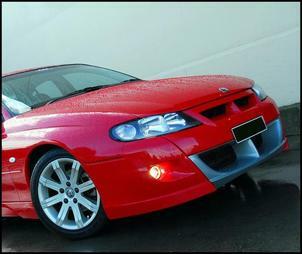 Re: "stickin' it to the man” – HSV XU6 - The P-Plate Loophole!... Advocating that inexperienced drivers should buy a car that juuust scrapes in to what is legal for them to drive, then promoting modifying it (so that it would clearly be illegal for them to drive) is not only irresponsible but potentially lethal. Legalities of the mods aside (though I assume the nitrous would only be used at the drags... yeah right, who am I kidding? ), the fact that young drivers make up a disproportionately large number of road accident victims is a bloody good reason to keep them out of high powered vehicles until their skills (and attitude) develop. As an alternative, why not promote ways to either get fast driving off the streets (onto the track where it belongs) or at least present a few articles on good (fast but safe) driving techniques? Maybe a review of one of the advanced driver training schools? We can appreciate your position but, in this case, we’re more comfortable with a P-plater driving a late-model car such as the XU6 (with traction control, airbags, competent suspension and brakes) compared to an old car with similar performance and inferior safety. Just think of something like a Mazda RX3... Perhaps the Victorian P plate regulations should take into account the passive and active safety built into each vehicle. And, yes, anyone who – regardless of age - uses nitrous on the street is asking for trouble. See Look - No Hands! and Drive Right Buy for articles on driver training.